Age-related macular degeneration (AMD) is the leading cause of vision loss in the elderly in the Western world. Over the last 30 years, our understanding of the pathogenesis of the disease has grown exponentially thanks to the results of countless epidemiology, genetic, histological, and biochemical studies. 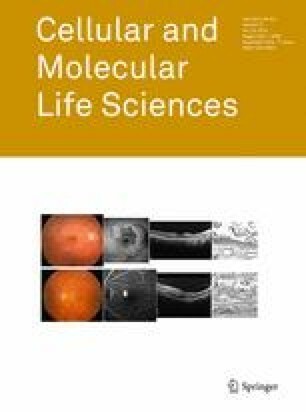 This information, in turn, has led to the identification of multiple biologic pathways potentially involved in development and progression of AMD, including but not limited to inflammation, lipid and extracellular matrix dysregulation, and angiogenesis. Nuclear receptors are a superfamily of transcription factors that have been shown to regulate many of the pathogenic pathways linked with AMD and as such they are emerging as promising targets for therapeutic intervention. In this review, we will present the fundamental phenotypic features of AMD and discuss our current understanding of the pathobiological disease mechanisms. We will introduce the nuclear receptor superfamily and discuss the current literature on their effects on AMD-related pathophysiology. Sincere thanks to the North Carolina Eye Bank, the Alabama Eye Bank, the eye donors and their families for their generosity to our group, and others, allowing us and other researchers to collectively understand the disease through their eyes. We would like to thank Mr. Steven Conlon for designing the artwork presented in Fig. 1. This work was supported by the US National Eye Institute grants EY02868 (GM), 5K12EY016333-08 (EL), and P30 EY005722 (Duke University), and the Research to Prevent Blindness, Inc. (RPB) Sybil B. Harrington Scholars Award (GM) and a RPB Core grant to the Duke Eye Center.